Shares in Delhaize Group jumped this morning (22 April) after the Belgium-based retailer said efforts to turn around its US business are continuing to bear fruit. Higher US same-store sales drove first-quarter profit gains, Delhaize said as it reported preliminary first-quarter results ahead of the full set of figures next month. Profit before one-time items rose 13% to EUR214m (US$279m). Underlying EBITDA was up 7.1% to EUR369m, the group added. Total revenues increased by 2.1% to EUR5.5bn. Same-store US sales were up 1.9% - the largest gain for six quarters - while comparable sales in Belgium were up 2.4%. 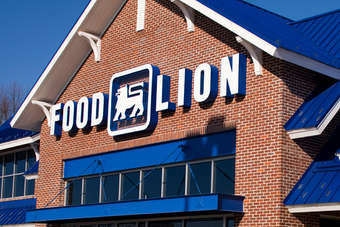 Delhaize said lower US retail deflation and good weather helped fuel the US recovery. In the preceding quarter, the company halted its sales decline in the market through price cuts and a brand overhaul. Delhaize has also closed 34 under-performing stores in the US, a move expected to boost profits this year by around EUR20m. Delhaize forecast operating profit before one-time items will decline to about EUR775m, from EUR810m last year. 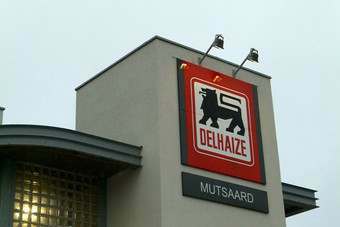 Shares in Delhaize were up almost 10% in morning trade, climbing to EUR46.88 at 14.00 (BST). The company will release its full first-quarter results on 8 May. 4/22/2013 BRUSSELS, Belgium, April 22, 2013 - Delhaize Group (Euronext Brussels: DELB, NYSE: DEG), the Belgian international food retailer, announces preliminary unaudited figures for the first quarter of 2013 and its decision to postpone its Capital Markets Day. In the first quarter of 2013, Delhaize Group’s revenues were €5.5 billion, an increase of 2.1% and 1.5% at identical and actual exchange rates, respectively. Organic revenue growth (excluding revenues from the 126 stores and 45 stores closed in the U.S. in Q1 2012 and Q1 2013 respectively) was 3.8%. 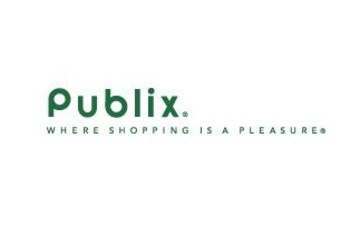 In the U.S., comparable store sales growth was 1.9% (3.0% including a +1.1% calendar impact), fueled by favorable weather conditions and continued good volume trends in the Food Lion repositioned stores and at Hannaford. This was partly offset by deflation which was however at a lower level than the previous quarter. In Belgium, comparable store sales growth was 2.4% (0.6% including a -1.8% calendar impact) as a result of inflation and improved volume trends. In Southeastern Europe, revenues grew by 6.8% at identical exchange rates due to store openings, while consumer spending is under pressure in the region. Underlying operating profit was €214 million, a 13.7% increase compared to the first quarter of 2012 at identical exchange rates (+13.0% at actual exchange rates) resulting in an underlying operating margin of 3.9% (3.5% in Q1 last year). In the U.S., underlying operating margin was 4.2% (3.7% in Q1 last year) as a result of positive sales leverage supported by the favorable calendar impact, non-performing store closures, cost reductions and Bottom Dollar Food’s significantly improved results. This was partly offset by continued price investments. In Belgium, underlying operating margin was 5.1% (4.6% in Q1 last year), mostly driven by cost control and positive sales leverage. In Southeastern Europe, underlying operating margin decreased to 1.4% (2.0% last year), mostly driven by price investments. Underlying EBITDA of €369 million represented a 7.1% increase compared to the first quarter of 2012 at identical exchange rates (+6.4% at actual exchange rates). Free cash flow reached €255 million (€87 million in Q1 2012) due to higher EBITDA, working capital improvements and continued capital discipline. Full first quarter results will be disclosed on May 8, 2013 as initially scheduled, including a normally scheduled conference call with management. As a consequence of our continued focus on our strategic priorities, Delhaize Group expects underlying operating profit of approximately €775 million for the full year 2013 at identical exchange rates. US: Bi-Lo tight-lipped over "IPO plans"